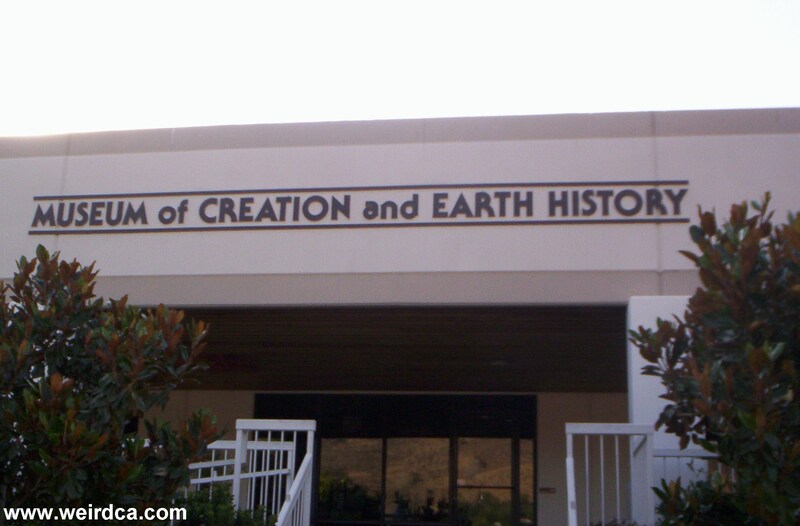 Well as I went to the San Diego area on the 4th of July Weekend, I was sadly unable to enter this museum (with attached Institute and Graduate School) on creation and earth history. Thus I was only able to get snapshots of the outside. Now that being said, if you're in the area, enter at your own risk. From the webpage, it is clear that they have unique views that contradict several other established theories. When I get a chance to visit, I'll happily add more information on the insides and my experience. "The purpose of ICR (Institute for Creation Research) is to serve as an education, research, and communications media institution specializing in the study and promotion of scientific creationism, Biblical creationism, and related fields. "Because American society - especially our educational system - is dominated by evolutionary humanism. "Because the harmful consequences of evolutionary thinking on families and society (abortion, promiscuity, drug abuse, homosexuality, and many others) are evident all around us even infiltrating our churches and seminaries. "Because this rebellion against God and His laws stems from unbelieving scientists and educators undermining the foundational truth of creation." That being said, it looks like the building in Santee houses a museum, a graduate school, research labs, and a library. The museum from the pictures on the website looks like a lot of work and effort went into building it. Additionally ICR has free publications, radio broadcasts, and organizes scientific outings. Originally established in 1970, it has been a California approved Graduate School since 1981 (minus a three year period from 1989 to 1992 when the status was temporarily taken away from them pending legal proceedings which they won). I visited the Creationism Museum and found it to be too strange for words. It was truly weird experience, walking through the place and listening to other visitors, "praise the lord", etc etc etc. I could almost hear the faint rattle of brain rolling around the inside of their heads.